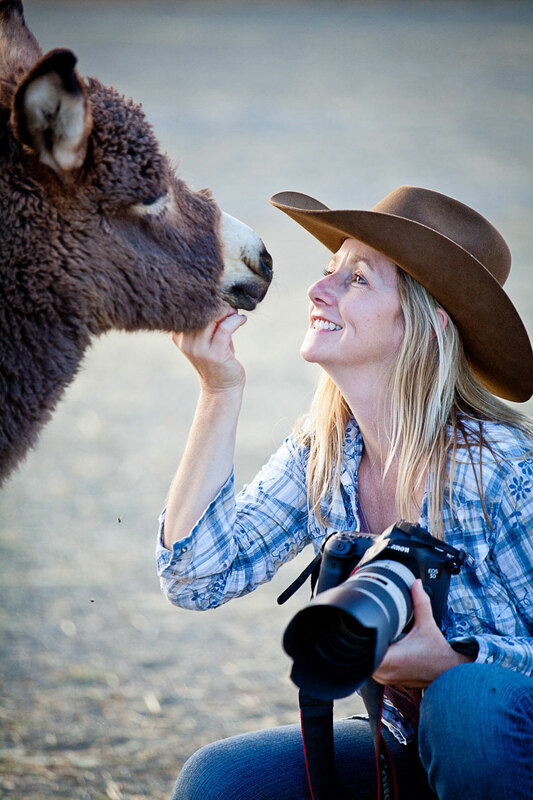 Eight Black Mountain burros from Arizona arrived on July 10, 2015. From Route 66 to California! One older gentleman OJ (Original Jack) and his best buddy Simon, 2-year old Lamb-Chop, and three Jennies, two with youngsters, and two more on the way. Everyone at MCR instantly fell in love: who needs wild horses when you can hang out with Long Ears? They are very smart and have big personalities. The naming process begins. The youngest is clearly BB King (short for Baby Burro King). So these burros have SOUL!!! BB King’s Mom is named Etta James, and the tall jenny with the fabulous legs (best stripes!) is Tina. Tina’s bestie is Aretha, and her baby boy is Clarence. (In real life Aretha Franklin has a son named Clarence, but we also have a soft spot for Clarence Clemmons, the best.) Tina had more than great legs, she also had the first baby burro to be born at MCR. He’s a total sweetheart, with a mop of long hair and very endearing. Breaking with the soul tradition, he was named Jocko because he resembled a stuffed animal that someone once loved as a child. And our final addition, Havana. Barn name: Tamale. Because she’s spicy and independent, quite wild, and ready to go live out on the ranch. Oj was a very old Jack (maybe 30 years old?) and sadly died 6 months after joining us. We were very sad to lose him, but glad that he got to spend most of his life in the wild. He wasn’t rounded up and removed from his home range until almost the end of his life. He had seen it all, had the scars to prove it. And he broke our hearts. The MCR burros are settling into their new forever home at MCR. Please see our Facebook page post where they see green grass for the first time! If you would like to adopt a burro or two, (they like to be together), we can help you find adoptable burros, there are many burros looking for good homes.